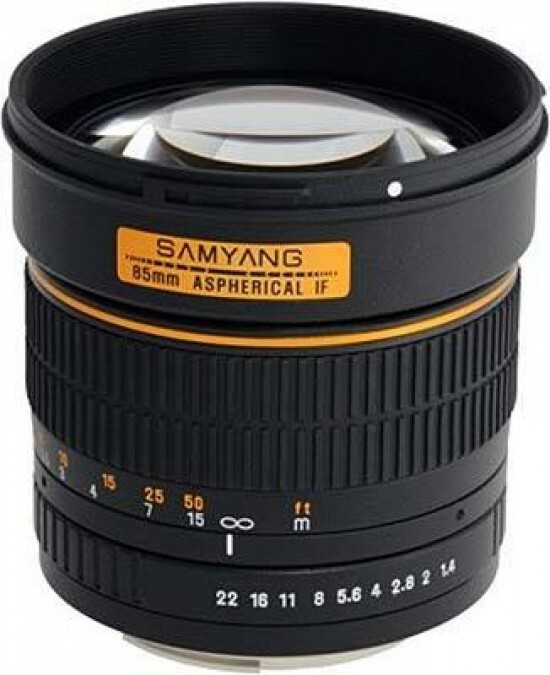 At around a quarter of the price of the Canon and Nikon alternatives, the Samyang 85mm f/1.4 ED AS UMC is a very affordable alternative to the OEM offerings. The image quality isn't very sharp throughout the frame until f/4, though, which somewhat negates the Samyang lens' headline maximum apertures, the action of the focusing ring is peculiarly stiff, and you'll also have to live with the lack of auto-focusing and on the Canon version the transfer of metering information. Still, if you like the dreamy look of photos shot wide-open than at £240 / $299 the Samyang 85mm f/1.4 ED AS UMC is a veritable bargain (Buy it from Samyang UK).